Randel Reiss has been a game developer and publisher for more than a quarter century. 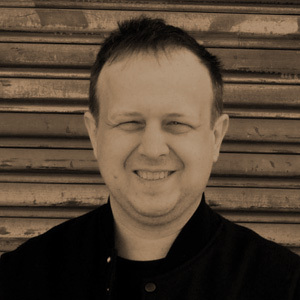 Randel has worked for or with many of the top tier companies of the game industry including Electronic Arts, Sony, SEGA, Microsoft, Activision, Harmonix, Bioware/Pandemic, and THQ. Recently, Randel did subcontract project management and team management for Microsoft's social/avatar-based New X-box Experience, Mythic/EA's MMORPG Warhammer Online: Age of Reckoning, Pandemic's Mercenaries 2: World in Flames, DICE/EA's MMO Battlefield: Bad Company, EA's Medal of Honor: Airborne, EA's FIFA Street 3, and EA's social-brand Sports World Online. Randel led the Sony studio responsible for making the Playstation 2 and 3 a successful internet platform, and helped develop 3D social environments for Coca Cola, Geffen Records, The Gap, Element Skateboards, and MTV. 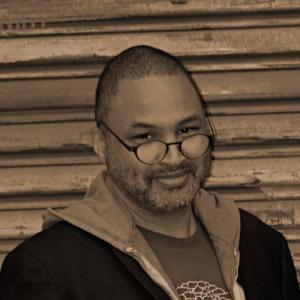 Scott Haile has been an Art and Creative Director in the entertainment, game and internet industries for over 20 years. 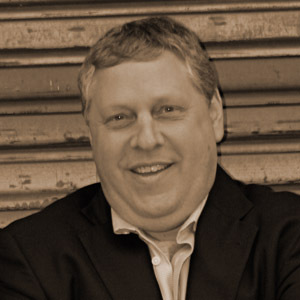 Scott has worked as an expert on bleeding edge innovation for corporate leaders such as SEGA, Sony, ATARI, and Microsoft. Originally a designer for motion pictures and television, Scott was one of the first cross-industry artists to join the growing game community of the 1980s. Not only an artistic pioneer in the 16-bit game revolution for Sega of America, he was at the front of edutainment and multimedia wave for Broderbund, helped define online use of next-gen consoles for Sony Computer Entertainment America, and worked on the java, jscript, and internet content standards for Microsoft, Inc. An early developer in web technology, online social and virtual communities, Scott has helped start-ups such as Dimension X, MetaTV, Grouper Networks, Wallop Technologies, Inc., position their content and brand for marketplace and investment success. Yuri Syrov is one the very few engineering architects that has touched nearly every competitive advancement in the interactive entertainment industry. Using his Master’s degree in math-physics and 25 years of experience he has optimized dozens of high-profile, big budget, games such as Electronic Arts’ Medal of Honor, Battlefield, James Bond, Lord of the Rings, Warhammer Online, Mercenaries and Activisions’ Spider-man brands. Recently Yuri worked with Microsoft on the new Xbox Dashboard Experience. Yuri was technology key-man on the revolutionary Sega Dreamcast and 3DO video game consoles’ hardware, software, and tools development teams. Alan "Al" Stone has served as president and executive vice president at Sega Enterprises, one of the most famous video game and multimedia entertainment companies of all time. Stone served as vice president and co-founded Nintendo of America, the other most famous video game entertainment of all time. An executive in the early days of the game industry at both Electronic Arts and Activision, Kelly Flock was involved in many groundbreaking game technologies such as 3D graphics, CD-ROMS, digital audio, and the rise of the console platform, including 8 and 16 bit Nintendo, Sega Genesis, CD-I, 3D0, Atari Jaguar, and others. As the General Manager of Lucasfilm Games, Executive Vice-President of Publishing of THQ, President of Sony Imagesoft and President of Sony's 989 Studios Mr. Flock has been responsible for bringing some of the best known and most profitable game properties to market: Cool Boarders, Syphon Filter, Socom Navy Seals, Twisted Metal, Jet Moto, and the innovative online role playing classic, EverQuest. Mr. Flock is currently on the board of Aristocrat Technologies.